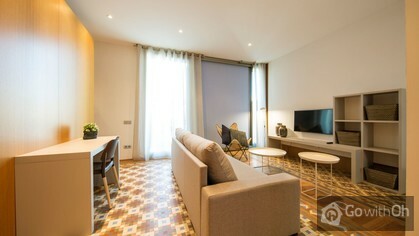 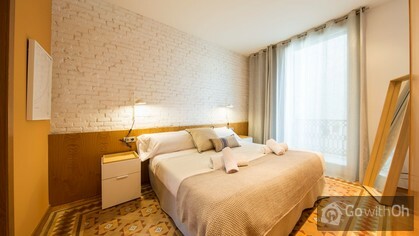 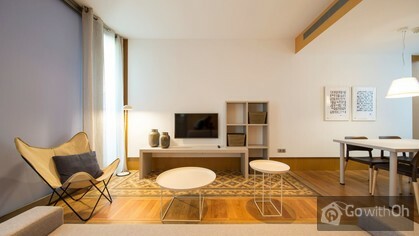 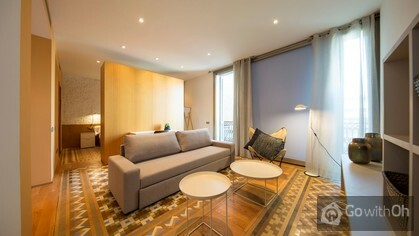 This luminous apartment of 57m2 is a very comfortable studio apartment absolutely ideal for both a person staying in Barcelona for business or couples. 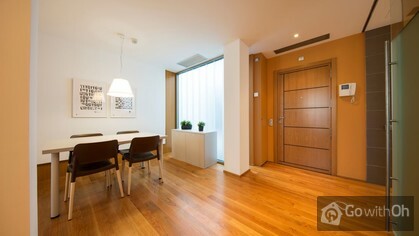 It has a bedroom space with a double bed separated from the living room by a closet for your belongings. 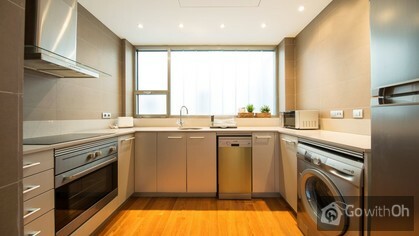 It also has a modern kitchen fully equipped with all appliances and open to the a dining room where there is a table to enjoy your meals. 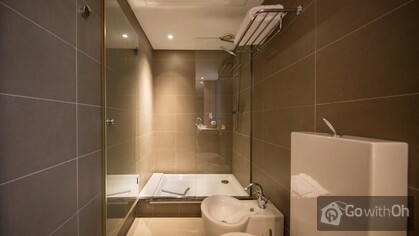 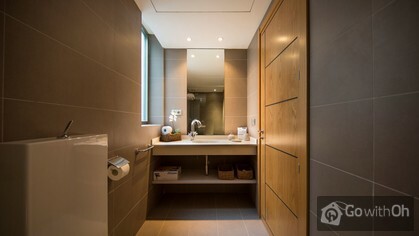 The bathroom is modern with a large shower.